It comes at night, when the children are asleep and the house is quiet. The full moon gleams through the window, and the dog stirs at the foot of the bed as its master rises. The woman makes her way down the hall, yelping when she steps on a piece of Lego. At least it didn’t go in the toilet this time. She notes the dirty paper towel on the bathroom sink, flushing it first before lowering herself groggily over the porcelain. When she flushes next, a strange sound gurgles eerily beneath the house. The pipes rattle. The sink drips. The toilet water rises. The consequences are real… and they’re scary. The three Ps are all that you should flush. 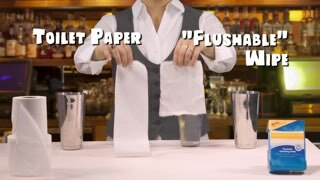 Pee, poo and toilet paper! Your sewer system was never built to manage garbage. It was designed to handle human waste and toilet paper. That's it. 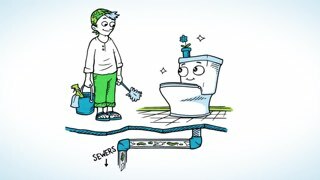 Flushing anything else can prove frightening and can result in A CLOG! A clog in your sewer system may result in a backup. If that happens you could face thousands of dollars in repairs and severe damages to your property. Your municipality will not cover the cost of these repairs. Damages to municipal sewer systems caused by improper disposal of garbage may also result in an increase in your taxes and utility bills. 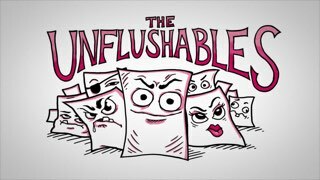 Remember, the only things you should flush are the three Ps. Pee, poo and toilet paper. The good news is it’s not too late. Remember: Sewers are only built to handle the three Ps. Pee, poo and toilet paper. Anything else must be disposed of in the garbage. Remember, what you flush may come back to haunt you.